Like Federal entities and tech companies nationwide, the National Geospatial-Intelligence Agency (NGA) is working on solutions for good cybersecurity practices. Matt Conner, deputy information security officer and director of the Cybersecurity Office at NGA, said that the agency is in the laborious process of moving to the cloud. In an effort to find the best strategies for this transition, the agency is consulting with tech companies and universities across the country. According to Conner, NGA frequently forays into online community engagement, and has partnered with GitHub to reach clients in different ways. “We’re almost at risk of doing too much at the same time. We need to move at the speed of mission,” Conner said. NGA weighs the opinions of both academia and industry as they search for better cybersecurity solutions. Conner said that NGA recently set up an officer in Silicon Valley to correspond with companies on the West Coast. He said that startup culture is an attractive source for new cybersecurity ideas. On Oct. 1, 2015, NGA’s CIO office merged with its IT services directorate. 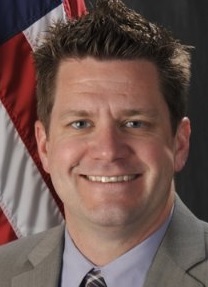 Conner said that NGA was the last of the major government agencies to consolidate its IT services with its oversight sector. While he said that there were some setbacks in merging the two offices, he said the strategy was ultimately sound. One of the biggest challenges facing agencies is the need for young, bright minds to enter the Federal workforce, according to Conner. NGA’s solution is the Scholarship for Service Program, in which the agency pays for a student’s college tuition in exchange for a couple of years of service in the agency. Conner stressed that new people with diverse perspectives are key in moving forward to better cybersecurity solutions. Conner will be speaking on cyber risks at the Symantec Government Symposium on Aug. 30.